Yes, I'm still reading this topic and I correct mistakes or delete bad questions if I feel it reasonable. In what city is Disneyland located? Disneyland is the original Disney theme park in Anaheim, California. Spain came through a civil war just before the world war 2. Although sympathized with the Axis, the country officially never entered into the war and stayed neutral. However this neutral thing did not keep Franco from sending "volunteers" to fight the Soviets. On the other hand there were several thousand volunteers fighting against the nazis in France, too. I have a problem with this question. It offends my intelligence. "how long would An ounce of gold, stretched into a wire be?" That would depend on gauge of the wire. 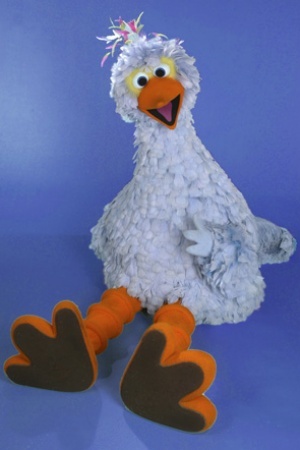 What color is Big Bird on Sesame Street? The colour varies per country. The name varies as well, so actually this question might just work(, because it says "Big Bird"). who won the original series of Britain's Got Talent? not living in Britain, i didn't see it, but according to wikipedia, the correct answer is Paul Potts. the correct answer is marked as George Sampson, but he won in season two. Which country did not come under German rule during World War II? Sure, Spain didn't come under German rule during WW2. But I am pretty sure Noway didn't either, although Norway was occupied by Germany. How on earth does these things slip through? Not to mention it was only half of France under German rule. Turns out there is a village called Noway Camp in Liberia. It wasn't occupied by the Germans in WWII. Mind you, it isn't a country either! That is possible, but with the kind of questions that gets rejected from the quiz, and then something like this makes it through? It´s annoying. Also, it is an "odd one out" question, a type of question that should be filtered out (according to http://forum.doomlord.net/index.php/topic,14.0). A cheetah can reach up to what speed? "The top speed ever recorded for a cheetah was one which ran at 75 mph"
The main character is Deckard. Is an okra a fruit or vegteble? The definition of a fruit is anything containing seeds. Okra has seeds and is therefore a fruit.